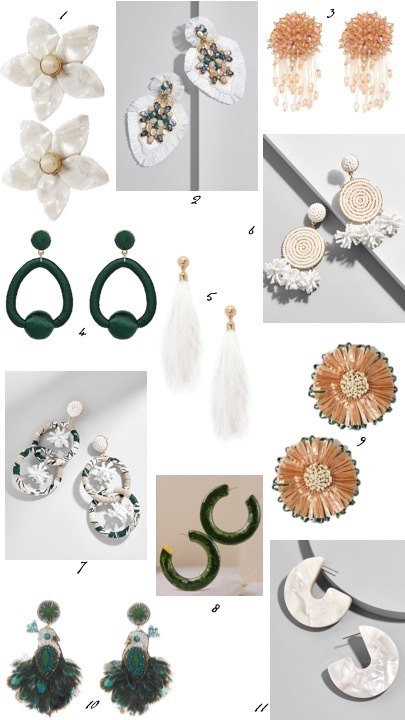 There’s just nothing that compares to wearing white, and I’m not talking bridal. I’m trying to think how far back my obsession goes, but I can say for certain, it’s the chicest statement a person can make. 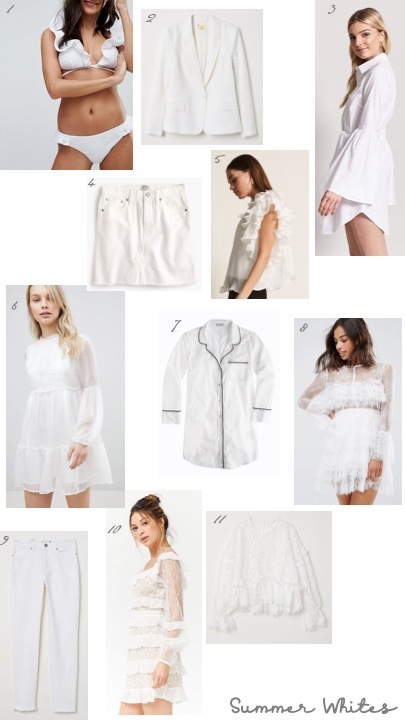 Some of my favorite staples being a crisp white collared shirt, a structured white blazer, a summery little white dress. And of course the other classics you can’t go wrong with, white denim, white bikinis, white ruffles. They all get me and I get them back! Despite the rule of waiting for Memorial Day, I wear it all year round (white fur coat anyone?) Enjoy my picks ahead of season! My mother is the hardest person to shop for. Anyone else have this problem? She and I have very similar taste, which is why I am still so puzzled that she ends up exchanging at least 90% of the gifts I give her. That is why last year for the holidays my sister and I decided to change it up a bit and get her a more experiential gift. That gift was a personal shopper so she could politely decline someone else's ideas. And the result was perfect; she LOVED it and I think has even gone back to the same shopper for more! Most department stores offer this service free of charge and I'd recommend it for any person who loves fashion but isn't easy to pick things out for. 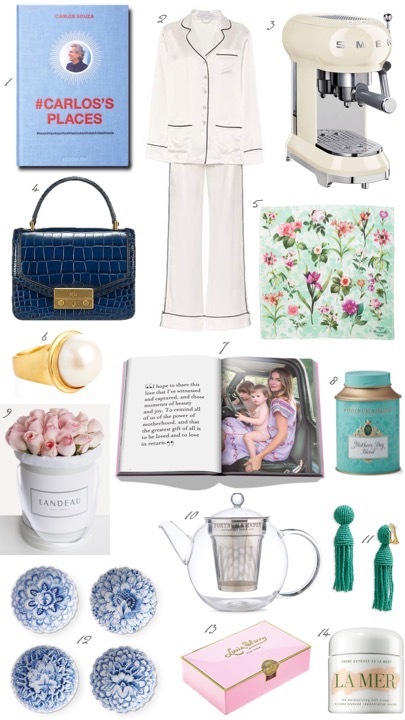 But for anyone else who loves a good gift guide, here you go. My top picks, aka things I would like from my two dog sons who can barely manage to pose for a picture with me let alone get me a nice gift. Then again, snuggles will never go out of style. Enjoy! 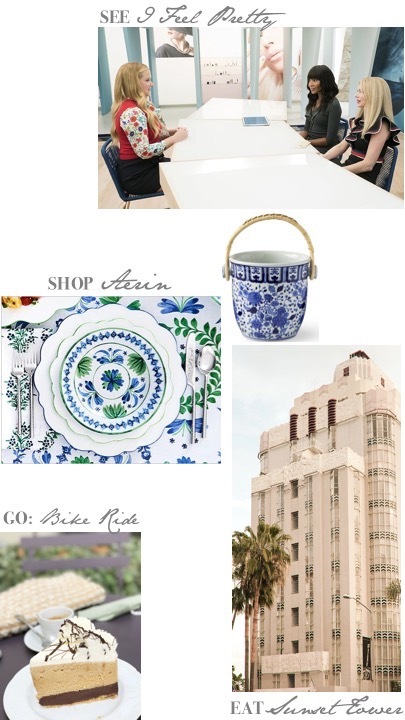 GO: On a bike ride, LA weather permitting, possibly on the beach or around Santa Monica. I love ridding around Montana avenue, always with the hope of grabbing a slice of my favorite peanut butter chiffon cake from Sweet Lady Jane! It's also the perfect time to start sunset beach picnics, and you know how much I love those. 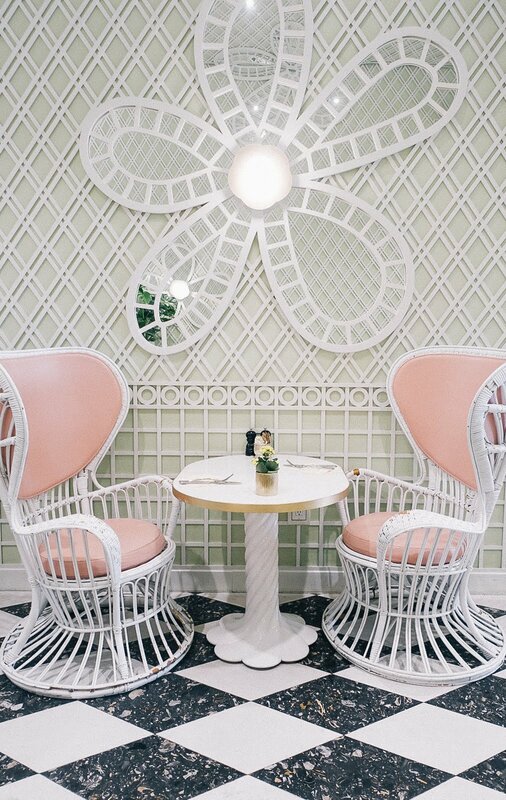 EAT: A girls night out at Sunset Tower Hotel. It's an iconic piece of Los Angeles history, perched above the city on the famous Sunset Boulevard and feels like a time capsule for the good old Hollywood days. As I have mentioned before, I feel as if history in Los Angeles is often overlooked and so I am sucker for anything that feels original and classic, or maybe I'm just getting older! Anyway, it's a great spot for a cocktail or brunch with a beautiful view, and I'm hoping to hit up Chateau Marmont afterwards for nightcap. Okay yes I am officially old. DO: Study, study, STUDY! I am still in full on study mode and am literally counting down the seconds until I take this exam and pass, God willing! SHOP: Aerin's new blue and white home collection with William's Sonoma. How chic is this ginger jar ice bucket?? This is yet another perfect opportunity for me to stop studying and waste 45 minutes on the internet! SEE: So I have my MoviePass and have lots of movies I want to see it with! At the top of the list, Amy Schumer's new movie I Feel Pretty, Chappaquiddick, and Love Simon. Under the Mexican sun... one of the things I love about vacation is exploring new places but this one was straight relaxation, with the addition of many margaritas and quesadillas. My fiancé (omg did I just say that?!) and I went to Cabo for a friend's wedding and it was quite the time spent poolside, reapplying multiple layers of 50 SPF and wearing lots of ruffles. I just can't stop the ruffle train, I think almost every outfit had at least one and I will continue to keep wearing them the rest of life! 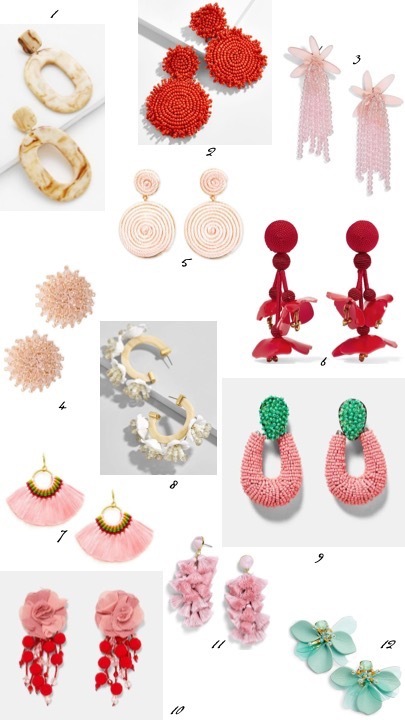 Packing for Mexico may seem like a no brainier but I threw together a list anyway and also in anticipation of summer. The most important thing to pack for me is super strong sunscreen (I used this one and was burn free), a big hat to cover my face and an easy beach read. The rest is just pretty! Enjoy! Summer in Positano is quite a lovely experience. My love of Italian culture goes way back, even before studying abroad in the very quaint and beautiful Verona, but rather when I made the bold choice to shy away from the typical French and Spanish classes in high school and opt for Italian. I had obviously already loved the food so why not learn the language? Especially growing up in Chicago, which had a rich Italian community, mostly visible to us by their amazing cuisine throughout the city. After starting to learn the language, I quickly fell in love with it and joined my school's Italian club where we danced to songs like Americano and wore ridiculously funny costumes, among other things. In college I carried on the tradition by studying it as my minor before taking a semester abroad in beautiful Verona, the most romantic city on earth. 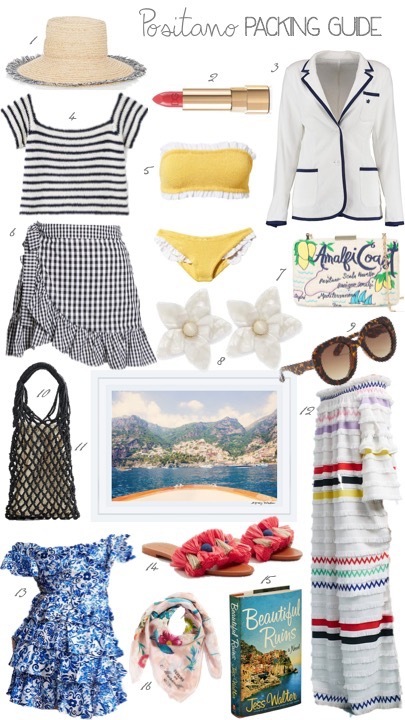 Fast forward to last year, when my boyfriend and I decided to make a stop in Positano, the epicenter of summer in Italy on the Amalfi Coast, and my love for all things Italian was once again reignited. Full disclosure, we were only there for a few days between our trips to Lisbon, The French Riviera and Israel, but I think we did a marvelous job with our small time and here are some things I'd recommend. If you don't have time to read the whole post, here are my three strongest recommendations, a day at the La Fontellina Beach Club in nearby Capri and drinks and appetizers at sunset at the Champagne and Oyster bar at Le Sirenuse. Also have your hotel concierge make reservations for you at restaurants and beach clubs before you get there! I'm already dying to head back! More below, enjoy! I LOVED our hotel so, so, so very much! My boyfriend and I honestly talk about it all the time - that we wish we had an extra day to sit on our beautiful balcony overlooking the city and coast with a pizza and spritz. We stayed at Hotel Conca d'Oro and I would highly recommend it to anyone who doesn't mind stairs and doesn't have the budget for the lovely Le Sirenuse. The hotel is situated a little higher than most in the city center, which I happened personally to like. Positano is quite small and everyone is usually walking as it's the most convenient way to get around and take in the magnificent scenery. The city center was about a 15-20 minute walk and I happened to love touring the city, which consists mostly of stairs, cobblestones and inclines, and areas mostly unreachable by car. Our hotel room wasn't too spacious but the balcony had to have been twice the size and I wouldn't have had it any other way! The concierge was helpful and the food was great too. We ordered room service that was delicious and very reasonably priced considering the typical costs of hotel food anywhere. We didn't get the chance to eat at the restaurant for lunch or dinner but I did enjoy the beautiful complimentary breakfast spread most of the hotels in Positano offer. The restaurant and the hot tub were of course facing the coast and most of the hotels we looked at offered sea view rooms. Overall it was a wonderful experience and I would most certainly stay there again! I also had friends stay at Le Sirenuse and Il San Pietro di Positano, both with very nice things to say about them! Since we were only in Positano for a small amount of time we had few meals to report on so this is not by any means the most thorough restaurant guide. My hands down, favorite meal was the spaghetti alla vognole at La Fontellina Beach Club in Capri (more below under LOUNGE). We also went to the very beautiful La Sponda at Le Sirenuse, which I thought was extremely romantic and delicious but not necessarily life changing, more about that here. We also went to La Tagliata after it came highly recommended by many people, however, I had a few reservations after leaving. I liked the food but it was A LOT of food, which the owners apparently recycle ethically by reinvesting it somehow into their livestock or the land I believe. I think for a big group or family it's a great idea since it's pre-fix, very good quality and comes with transportation to and from, but to me it felt like I was at camp with fifty other couples I didn't know and a counselor who had a set time agenda to follow. Other places that came highly recommended below! If you take away any advice from this guide, please promise me you will go to Le Sirenuse for a drink, preferably at sunset! This was the best spot in Positano (aside from our balcony with pizza and champs) and simply the most beautiful moment! More details about Le Sirenuse here. We sat in the Champagne and Oyster Bar which serves cocktails, seafood and other yummy snacks, but they also have Franco's Bar which has a beautiful view too but only serves drinks. I ordered a spritz (in Italy drinks always come with some yummy snacks like olives and chips) and a delectable cheese and charcuterie plate while we watched the sky turn the most beautiful shade of pink and blue. Everywhere in Positano has lots of breathtaking options to do just this, but I found Le Sirenuse to be the very best! 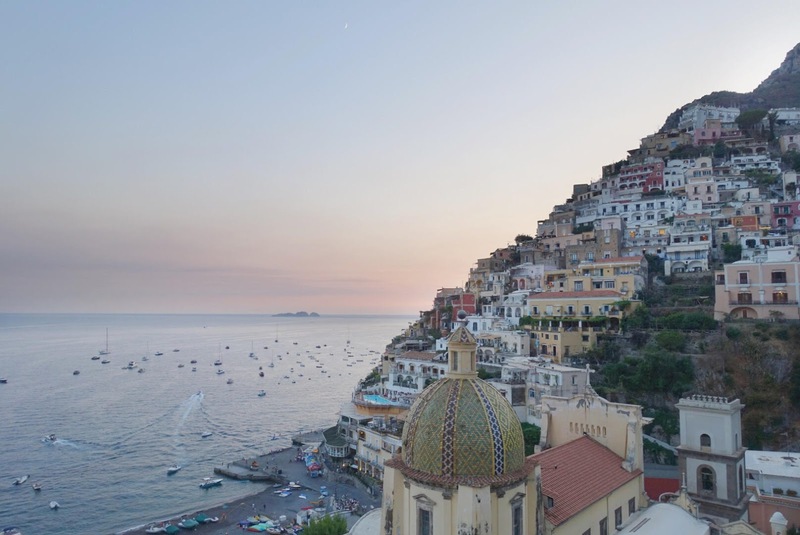 Positano and most of the Amalfi coast is known as a place to relax and enjoy the sun, stunning views of the Mediterranean and incredible cuisine. And of course there are many options to do just that, with a large selection of great beach clubs on the water. Most of which all have restaurants, beach chair rentals, showers/changing rooms and chair service. We went to La Fontellina in Capri and it was spectacular! Capri is a little island off the Amalfi coast which has regular ferry service to and from Positano daily, however, La Fontellina is on the other side and is only accessible by foot and by boat. They have a boat shuttle themselves from Marina Piccola, however getting there requires about a 10 minute taxi ride or 30 minute walk to the other side of the mountain. Despite the slight trek to get there and back I still would highly recommend you go with the intent to spend the day lounging in the sun, swimming in the Mediterranean, and drinking and eating the spectacular food. We had about 3.5 hours there before needing to head back but I honestly wish we had longer, it was such a fun day and my favorite thing on the Amalfi Coast next to a drink at Le Sirenuse! In addition to lounging for an afternoon at one of the many beautiful beach clubs in Positano, I really recommend taking a boat tour. Most companies offer many different options, including small group tours and private ones for varying amount of times and locations. We didn't have much time in Positano and unfortunately were unable to fit a boat ride in but if I go back it will certainly be a priority! 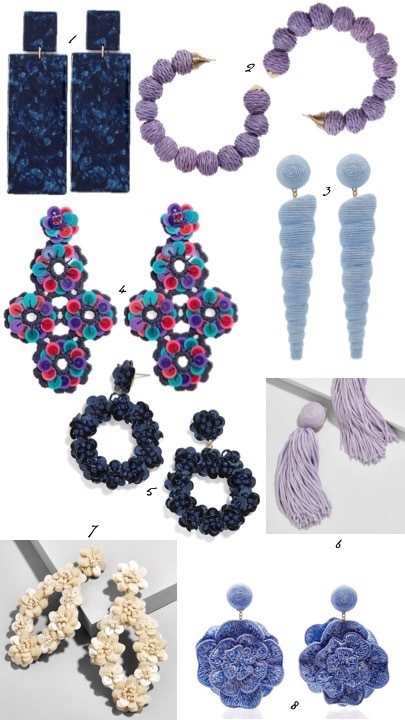 Positano is also known for having great shopping. The city has so many beautiful tile patterns all over and there are so many great shops that sell beautiful ceramics to capture just that. I also loved all the flowy white beach dresses and embroidered patterns. I didn't get much time to really go through everything but I certainly was eyeing as many things as possible on our walks around the city, creating a mental list for next time! Positano is also famous for having lots of leather sandal shops where you can have a custom pair made just for you, how fabulous is that? But the hands down most important thing to try while you are there is the spritz! Like I mentioned previously, it's the essence of an Italian summer and served as my water during my time studying abroad in Verona. 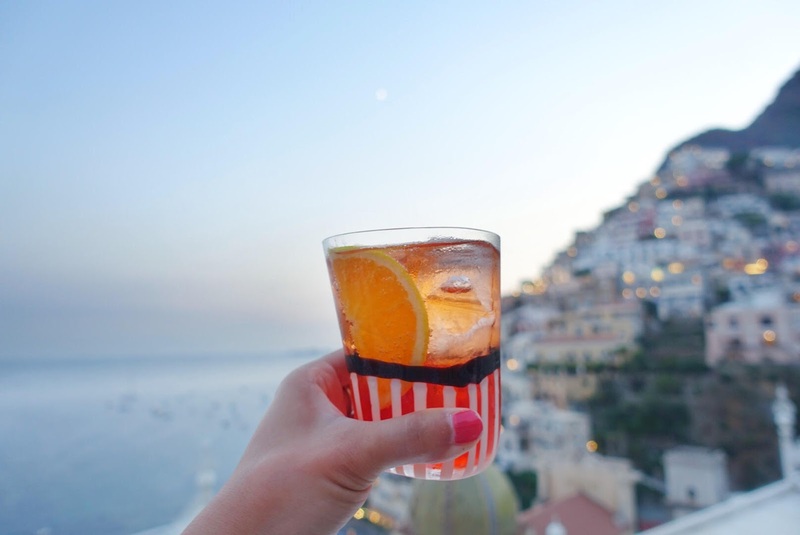 If you can't get to Positano anytime soon, check out my recipe here. As you can imagine, Positano is a European beach town with visitors from all over Europe and the rest of world and the style there certainly reflects that. Europeans, in my opinion, have a more evolved sense of style and I love seeing how this translates to beachwear as it can be hard to be stylish when it's 90 degrees outside! On our visit I decided to wear my scarf as a headband with big round sunnies since I knew my hair was likely to get wet. At night I did a chic top knot bun to avoid wasting time on a blow out and it felt very freeing and regal. Also, way cute with the millions of statement earrings I brought to change out every few hours. I also opted for flat sandals the majority of the trip with nothing more than a wedge here and there as Positano is full of steep inclines, pebbled roads and endless stairs! This is NOT a place for heels, let me repeat, no stilettos! If you must have height, I reccomend a very low and chunky heel or reasonably flat wedge shoe, but throw in a pair of flat sandals or flip flops to your basket purse just in case! Like most beach towns, everyone is dressed in something that could easily work with a bathing suit during the day, whether you plan to dive into the Mediterranean or not. 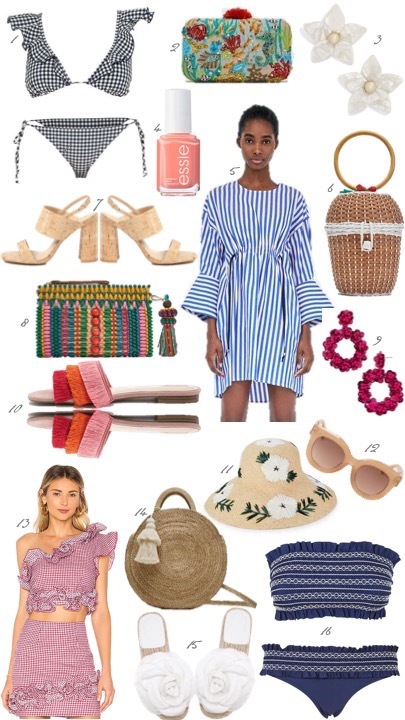 Aside from those few things, all the same resort wear outfits will do; loose, embroidered dresses and skirts, tunic coverups, off the shoulder peasant blouses, and woven basket bags.